Make the Pledge to Drive Alcohol and Other Drug Free! Join the Kenosha County Substance Abuse Coalition and Leadership Kenosha in a commitment to only drive free from alcohol and other drugs. An average of one person is killed or injured in an alcohol-related crash every 2.9 hours on Wisconsin roadways. Taking the pledge is impactful to our community! I pledge to do my part and help save lives by only driving while alcohol and other drug free. 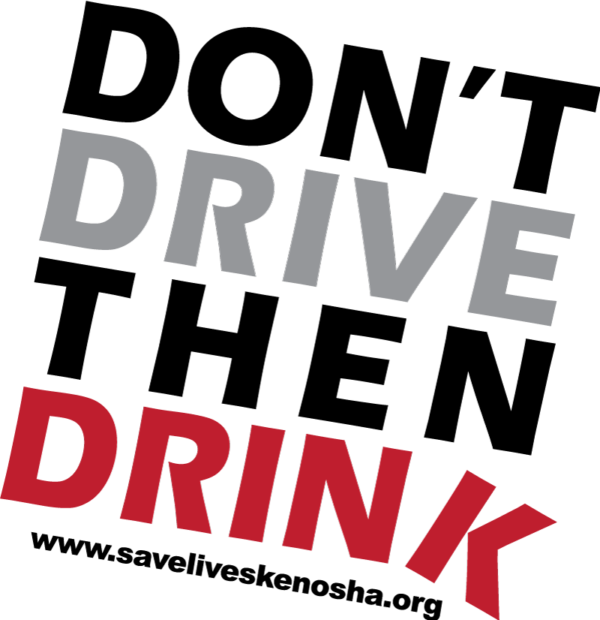 *By providing your email address, you are opting in to receive future communication surrounding the Don’t Drive Then Drink Campaign, inclusive of email and newsletters.